Has it been half a year since i last visited Wildseed Cafe at The Summerhouse?! Well so much has changed and we hear that Wildseed Cafe no longer does those yummy sandwiches. :( There's no fretting though! 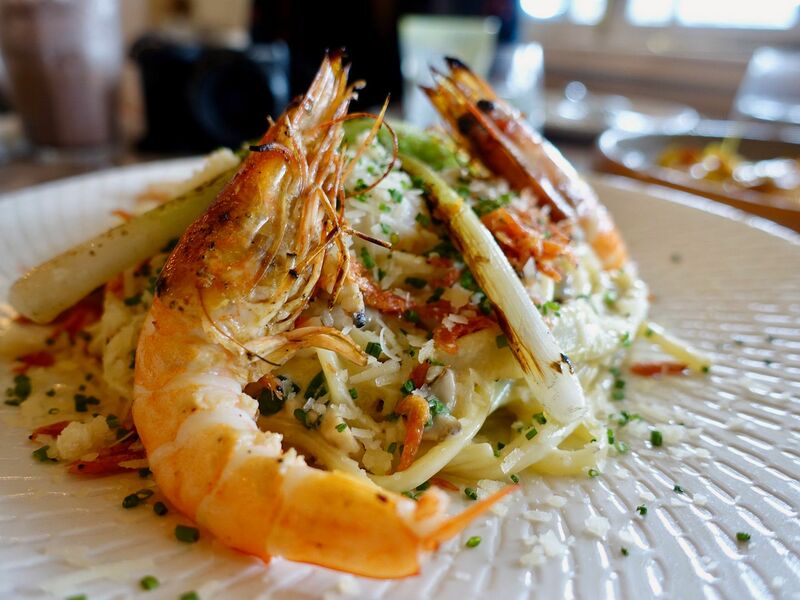 The Summerhouse has just launched their new weekday lunch and weekend brunch menu and you will be spoilt for choice! The weekend brunch menu is the more extensive one, and you'll get some of the more filling dishes on the weekday lunch menu. For starters, i absolutely adored the Burrata Rocket Salad ($20) which has a meaty flavor to it despite it being vegetarian. I love every component on this salad- the creamy burrata, meaty rocket pesto, citrusy dog fennel, umami marinated tomatoes and crunchy toasted sourdough. 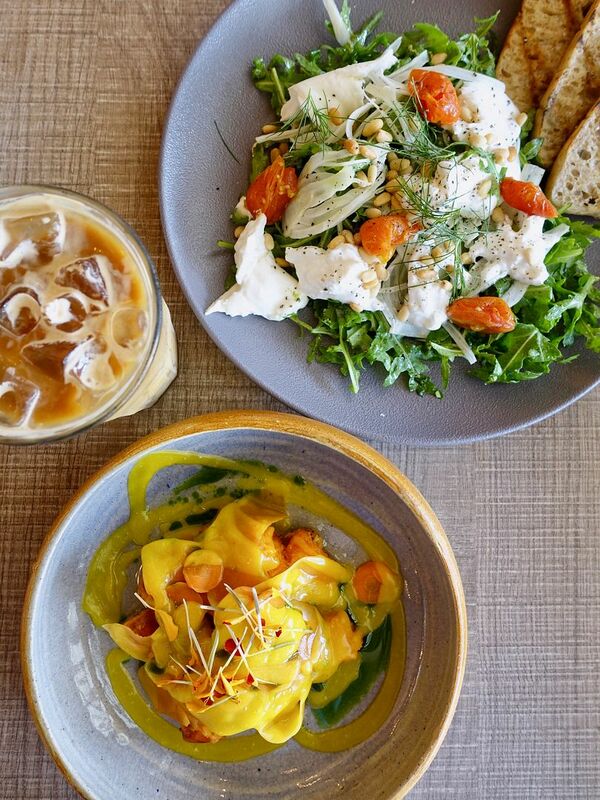 If you're gunning for a healthier brunch/lunch, this could be your main course. What's better than sweet potato fries? Presenting the Yellow ($14), which is a dish of crunchy Mimolette-cheese-covered sweet potato cubes topped with an earl grey and passion fruit vinaigrette, mustard puree, and pickled pumpkin and carrots. This dish is definitely more savoury than sweet and we found the pickled sides rather refreshing. WARNING. Do not mistaken The Summerhouse's Eggs Benedict Modernist ($22) to be a traditional full-size breakfast plate because it is clearly under the starters portion. 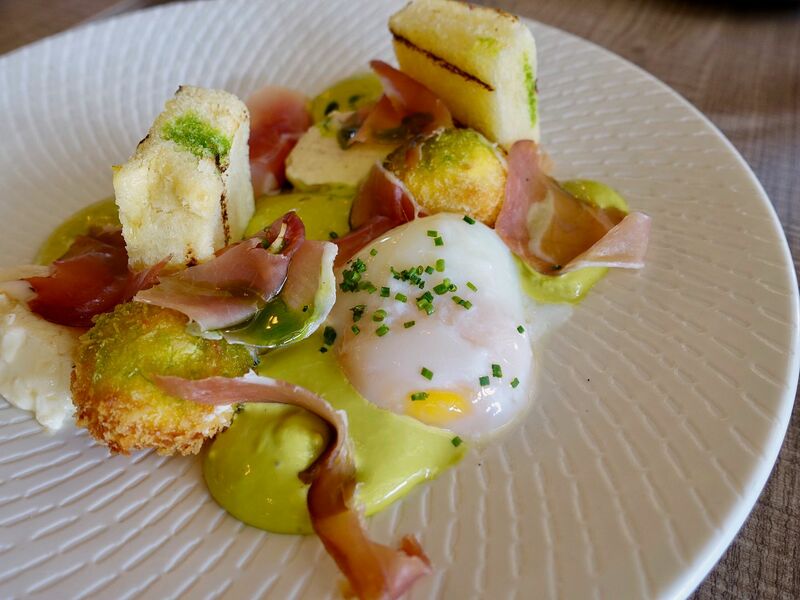 Instead, Chef presents an innovative egg dish with various textures of egg with Black Forest Ham, and a unique chive hollandaise. On this plate, there's an interesting bacon infused egg white custard with an amazing panna cotta texture; breaded and fried egg yolks, and a runny sous vide egg. I would love for something sharper to cut through all that egg though. Now i'm gonna skip to 'Desserts' because that's where they placed the ah-mazing French Toast ($14). I obviously have no issues having something sweet for breakfast, especially if it is this pretty. The fluffy brioche is soaked in egg with cinnamon and brown sugar before being pan-fried for that nice caramel crust. 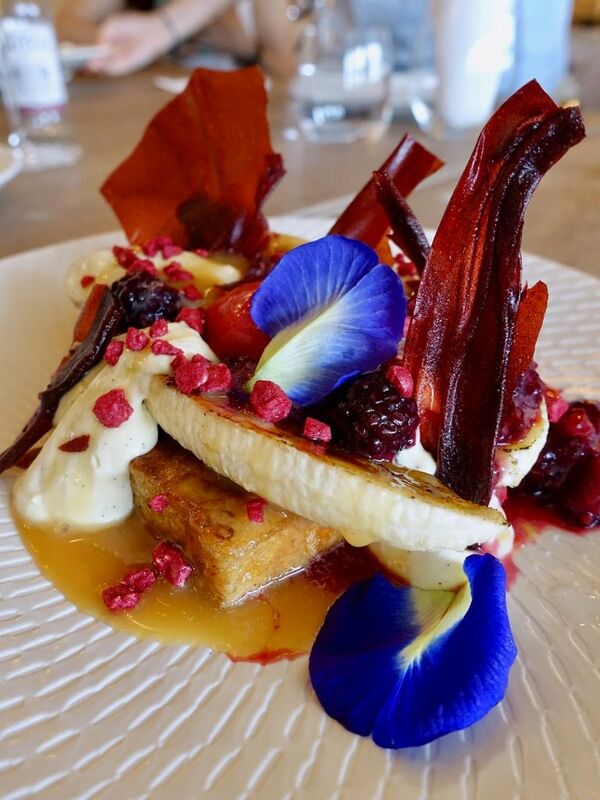 Chef serves this with seasonal fruits, zingy raspberry-yuzu sorbet and raspberry tuille. I thought that the use of vanilla bean custard was ingenious- it's not as heavy as ice cream, but it was smooth enough to provide the same mouthfeel while harmonizing the tartness of the sorbet. Another dessert i may take for breakfast would be the Natural Yoghurt with Grilled Pumpkin Ice Cream, served with granola and local cinnamon, and local honey. I mean, it's essentially a granola bowl no? My other favorite brunch dish is the Pulled Pork Scrambled Eggs Burger ($19). YOU CANNOT MISS THIS FOR YOUR LIFE. I will leave nothing on the plate, not even the burger bun because it's filled with bacon and cream cheese with sambal mayo! 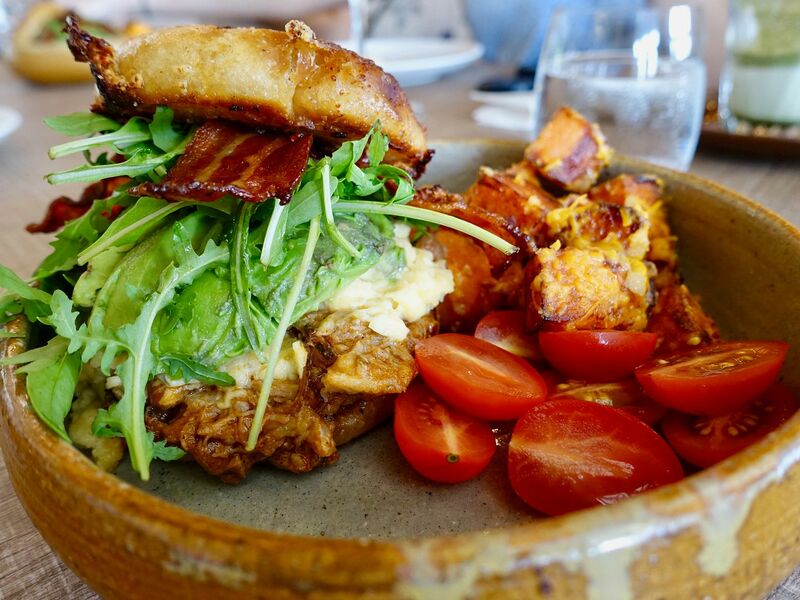 The bun is fried and then sliced to sandwich a juicy and tangy pulled pork made from pork collar, creamy scrambled eggs, avocado, Mimolette cheese, and more greens. This may possibly be the best burger of 2017. Really. For heartier lunch/brunch options, there's the Miso Shiitake Linguine ($22) with 3 grilled prawns (+$8). If you would like a less heavy carbonara, this would be it. The fried ebi sakura was very much bacon-like, which i thought was missing the umami seafood flavor. 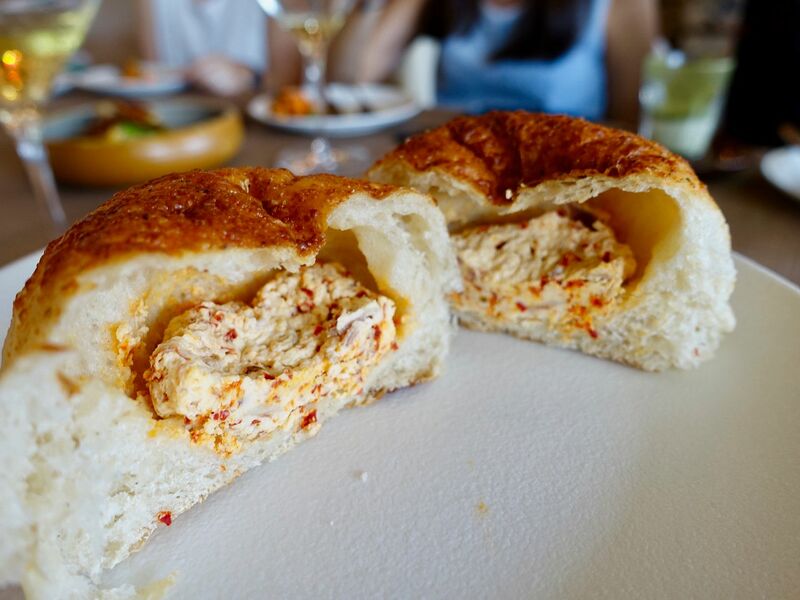 It's possible to have this as a vegetarian option if you tell the kitchen to hold the ebi. If you, like i do, miss the falafel sandwich previously served at Wildseed Cafe, there's the Falafel Platter ($14/24) which uses pretty much the same ingredients in the sandwich! Think generous serving of the crusty herbal falafel, feta cheese, eggplant ragout, sautéed pak choy, butterhead lettuce, rocket pesto and yoghurt sauce. Other items available for lunch includes a Wagyu beef burger made with wagyu beef MS8 patty, and a grilled chicken thigh with smoked rice (Summerhouse's take on the local chicken rice). Sweet endings begin proper with the Balinese chocolate ice cream ($12) which cannot be missed as well. 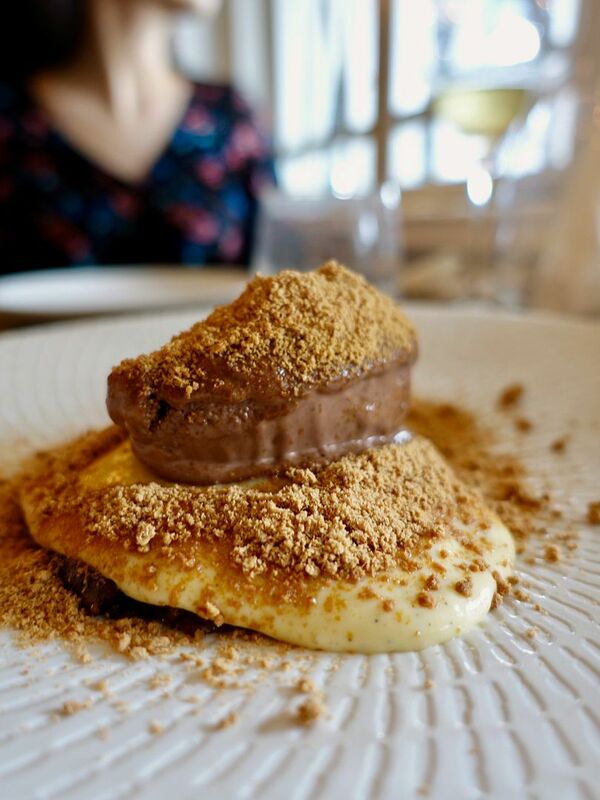 A freshly baked crunchy but gooey hazelnut cookie is topped with the smooth vanilla bean custard, chocolate ice cream made from Bali-grown Valrhona cocoa and a dehydrated hazelnut praline powder. If i may add, this dessert provides the same comfort you'd derive from a glass of rich chocolate milk. Loving the new brunch and lunch menu at The Summerhouse Dining Room. We enjoyed our meal with a bottle of Bliss Family Vineyards Chardonnay from their cute little wine cellar. 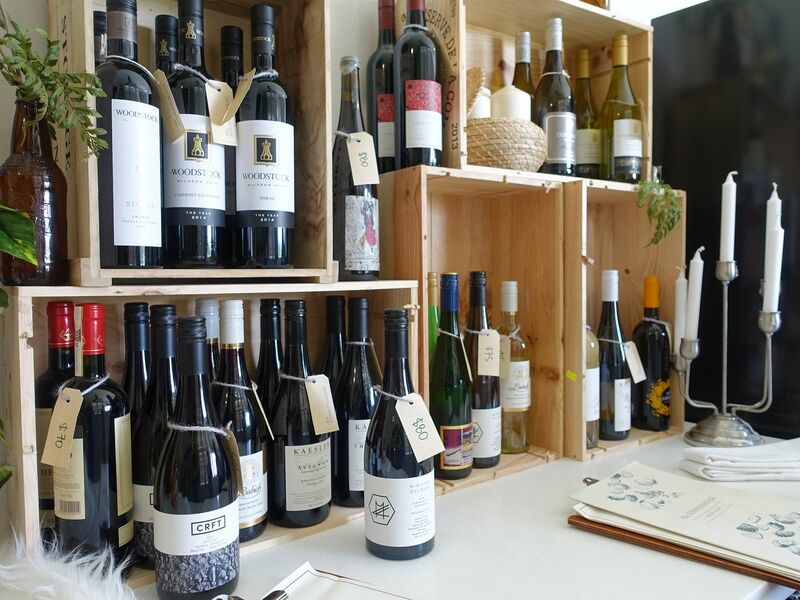 The stock of wine comes from the 1 Group's suppliers and you could purchase a bottle to enjoy it at the restaurant or at home.